I’m celebrating Banned Books Week by writing reviews based on What Would Scroggins Say? To find out why, check out this post. 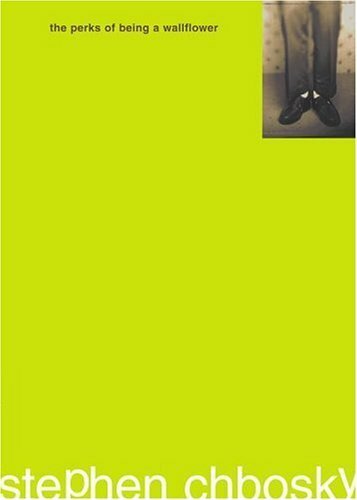 In this book, The Young Adult’s Fast Pass Ticket to Hell and Damnation The Perks of Being a Wallflower, there is debauchery and carryings on the likes of which I have never seen before. I refuse to believe that anyone under the age of 87 could possibly read this book and not be influenced to do one of the following: A) drugs B) immediately become a homosexual C) enter into a physically and emotionally abusive relationship D) commit suicide. In fact, I feel I cannot go into greater detail on some of the subjects of this book (including offensive language and masturbation) than this without further damaging my own delicate psyche. Yes – you heard me correctly. I hope I have shocked you. This book is so immersed in Satan’s hellfire that I don’t even find it appropriate for adults. I cannot explain the pure horror and terror I felt upon reading that section. What is the world coming to when parents LET THEIR CHILDREN READ BOOKS AND THINK FOR THEMSELVES? NOOOOOOOOOO. I bet Wesley Scroggins really would hate this book. It details what it means to be given a “swirlie,” and something tells me ole Scroggy probably has some experience with those. The thought of banning this book is ridiculous to me (well, the thought of censorship in itself is too, but go with me here…), because this book represents exactly what being a teenager is: exploration and self-discovery. If you could bottle up teenage angst, it would spew out and form itself into this book. This book also does a great job of explaining how different people growing up go through different things. Yet another reason book banning is ridiculous. Giving teenagers books like this help them realize they aren’t alone and that their thoughts and fears aren’t unhealthy. It doesn’t “put ideas in their heads,” believe me Scroggins. They already know offensive language and the definition of masturbation. It takes those ideas and explores them in real-life situations. It is such a safe and effective way to stimulate emotional growth. Anyway: back to this particular book. Some of the thoughts are so insightful that I got chills. I wish I’d read it a few years ago, I’d have appreciated it even more! The varied definitions of love (both the healthy and harmful) are explained in such beautiful and poetic detail. The writing style is so simple, perfect to showcase the words – which are not. I definitely recommend picking this up, it is a quick read and worth the time!